For seniors living in the state of Wisconsin, there are many Medicare Supplement Companies who are authorized to offer Medicare Supplemental Insurance to seniors in Wisconsin who have enrolled in Original Medicare Part A and Part B. Although Original Medicare covers a variety of hospital and medical services, the federal program doesn't cover all of your medical expenses, so there may be considerable costs that you will be expected to pay either out-of-pocket or through Medicare Supplemental Insurance that is offered by approved private insurance companies. To make certain that the residents of Wisconsin are offered comprehensive insurance coverage from health insurers authorized to offer Medicare Supplement Insurance, the state has mandated the coverage's that must be included in every policy from each authorized insurer. With a Medicare Supplement, the company does not set the benefits, they are set by the state and federal government. What is important when choosing a company for your Medigap Plan is their rate history and company stability. All of the benefits are and must be equal, but all companies are not. We look at a companies financial standing with AM Best, their time in the Medicare Supplement market and their rate history. A plan with the Base and all Riders must provided the same benefits, no mater what company it is from. Policies may also include extra funding for preventative medical examinations that Medicare does not cover. This service varies greatly between companies. Wisconsin insurance law requires Medicare supplement policies to contain the following "mandated" benefits. These benefits ​​​​a​​​​r​​​​e available even when Medicare does not cover these expenses. Skilled Nursing Facilities: Medicare supplement policies cover 30 days of skilled nursing care in a skilled nursing facility. The facility does not need to be certified by Medicare and the stay does not have to meet Medicare's definition of skilled care. No prior hospitalization may be required. The facility must be a licensed skilled care nursing facility. The care also must meet the insurance company's standards as medically necessary. Home Health Care: Medicare provides for all medically necessary home health visits. However, "medically necessary" is defined quite narrowly, and you must meet certain other criteria. All Medicare supplement policies will pay up to 40 home health care visits per year in addition to those provided by Medicare, if you qualify. Your doctor must certify that you would need to be in the hospital or skilled nursing home if the home care was not available to you. Home nursing and medically necessary home health aide services are covered on a part-time or intermittent basis, along with physical, respiratory, occupational, or speech therapy. Medicare supplement insurance companies are required to offer coverage for 365 home health care visits in a policy year. Insurance companies may charge an additional premium for the additional coverage. Medicare provides coverage for all medically necessary home health visits. However, "medically necessary" is defined quite narrowly, and you must meet certain other criteria. Kidney Disease: Medicare supplement policies cover inpatient and outpatient expense for dialysis, transplantation, or donor-related services of kidney disease up to $30,000 in any calendar year. Policies are not required to duplicate Medicare payments for kidney disease treatment. Diabetes Treatment: Medicare supplement policies cover the usual and customary expenses incurred for the installation and use of an insulin infusion pump or other equipment or non-prescription supplies for the treatment of diabetes. Self-management services are also considered a covered expense. This benefit is available even if Medicare does not cover the claim. Medicare supplement policies issued prior to January 1, 2006, for individuals who do not enroll in Medicare Part D cover prescription medication, insulin, and supplies associated with the injection of insulin. Prescription drug expenses are subject to the $6,250 deductible for drug charges. This deductible does not apply to insulin. Medicare supplement policies issued beginning January 1, 2006, do not cover prescription medication, insulin, and supplies associated with the injection of insulin as policies are prohibited from duplicating coverage available under the Medicare Part D.
Chiropractic Care: Medigap policies cover the usual and customary expense for medically necessary services provided by a chiropractor. This benefit is available even if Medicare does not cover the claim. Hospital and Ambulatory Surgery Center Charges and Anesthetics for Dental Care:Medicare supplement policies cover hospital or ambulatory surgery center charges incurred and anesthetics provided in conjunction with dental care for an individual with a chronic disability or an individual with a medical condition that requires hospitalization or general anesthesia for dental care. Breast Reconstruction: Medicare supplement policies cover breast reconstruction of the affected tissue incident to a mastectomy. Companies offering Medicare supplement plans in Wisconsin raise rates for different reasons and at different times. Medicare rates and deductibles are set by CMS and can be raised at their discretion. When they do increase the deductibles, Medicare supplement companies will often raise rates to cover these charges. Different companies raise rates at different times, it varies by the type of Medigap plan that they offer. Not by benefits but how they are set up, the different types of ratings are, attained age, issue age or community rated. Each one raises rates at different times and have different triggers that set the increase in motion. Attained age: Attained age Medicare supplement plans increase premiums as your age increases and are the lowest cost when you purchase. For instance, if you get this type of supplemental plan at 65 you would probably see your rates increase at age 66 or 67. Issued age: This type of policy it typically much higher price when you first purchase it, but the rates do not go up as you get older. Community Rated: This type of policy does not take into effect your age, instead when the company issues a rate increase, the will raise everyone in a certain group. They might raise everyone age 69 but not the clients that are 68. Attained age tends to be the lowest cost over time but this can vary. Anyone who says your Medicare Supplement Company will not give you a rate increase is not being honest. Nobody knows if Medicare or CMS will raise rates until it actually happens. If Medicare does increase deductibles some or all of that cost will be passed on to the consumer as a rate increase. The secret is to look at companies that have flat or even rate increases over time. You want to avoid the large spikes with increases, if the company you are looking at does have some spikes as rate increases, we want to see what triggered those larger increases. We Can Help you Decide Just call Us. When you are looking for Medicare supplemental coverage, the company you choose should be what you feel most comfortable with. Some people want a "household name" others want the lowest rates. With the benefits being basically the same your choice in what company provides your medigap in Wisconsin is very much a personal one. People tend to look at only the companies the have heard of such as, Mutual of Omaha or Aetna. When in reality most of the smaller companies are either subsidiaries of the larger companies or are re-insured by them. This is where an independent Medicare supplement agency can help you decide. Many of the largest companies use subsidiaries or branches with names that people are unfamiliar with. For instance just about everyone has heard of Mutual of Omaha, but very few know of United of Omaha, the are one in the same company. Another example of this is Continental Life is actually an Aetna company and the list goes on and on. One unfortunate trend is the larger companies offering supplemental coverage are closing books of business and then opening a new book of business or subsidiary. What happens when this takes place is that the company comes in with lower rates on the new offering to get business and the rates go up in old plan or company. If you are are relatively healthy this is not a problem, you simply move to another Medicare Supplement Company, but if you have some health issues you could be stuck where you are. 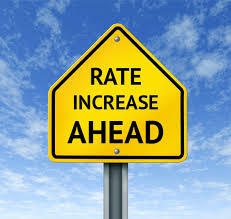 If you are stuck in a plan that a company is no longer taking new business in, you can expect larger rate increases. In insurance the secret to lower rates is having healthy new blood coming in the plan to offset the costs of the sicker insured. For a free consultation on which of the many Medicare Supplement Companies in Wisconsin is the correct fit for you, simply call 920-545-4884.